Icicle Tricycles just went coconuts! We’re excited to have built one of the world’s first coconut water bikes! 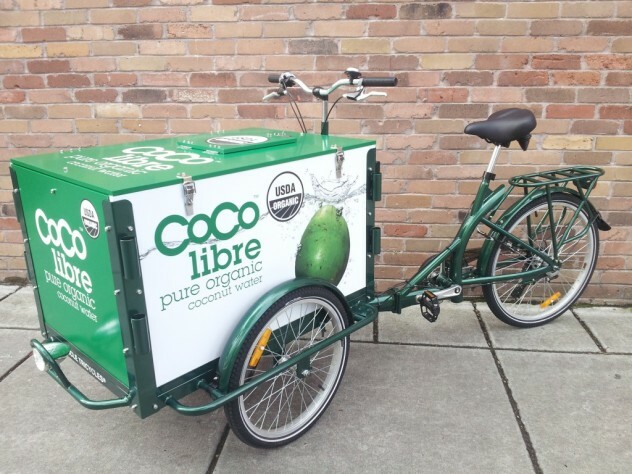 Contacted by Coco Libre to construct them a product sampling and marketing bike for their signature coconut water brand. 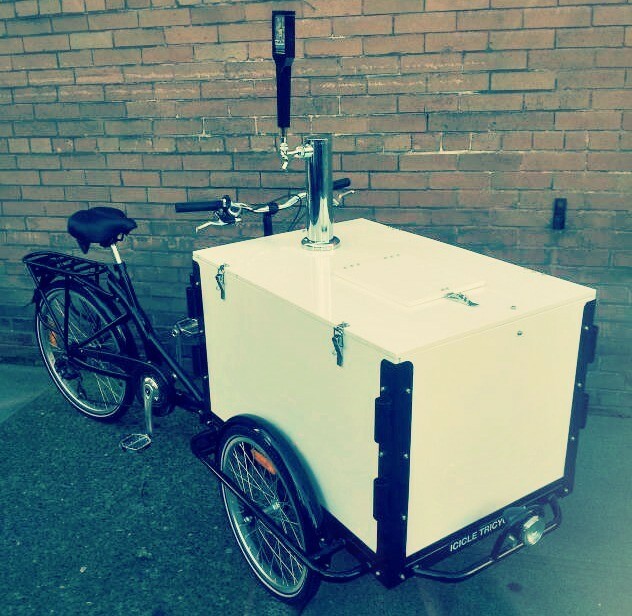 A delicious, thirst quenching pedal-powered electrolytes machine! Excellent for quenching the thirst of athletes and parched sports fans anywhere. Simply amazing for coconut water fans everywhere! Whether you decide to roll out to a sporting event, fair, farmers market, parade, convention center, or anywhere coconut water thirsty or electrolyte deficient people might be, an Icicle Tricycles Coconut Water Bike is a fantastic way to hydrate a neighborhood, stadium, or even an entire city! 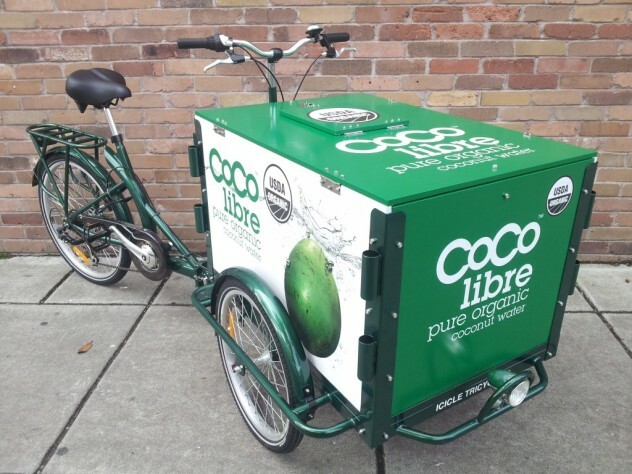 Whether you’re looking to operate a small scale coconut water service or to promote an already existing product line, an Icicle Tricycles Coconut Water Bike is a perfect solution. Economical, eco-friendly, and promotes an environmentally sustainable form of business. A superb way to market the health benefits of coconut water and a healthy lifestyle!